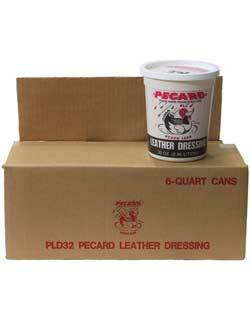 Pecard Leather Dressing, quietly manufactured in Wisconsin since 1902, is the unrecognized jewel among the many leather dressings on the market. 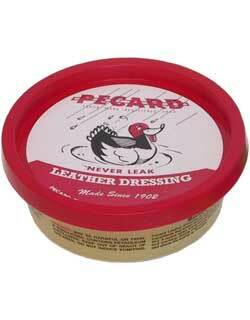 It is based on a petroleum lubricant similar to vaseline, with additions of selected waxes including beeswax. 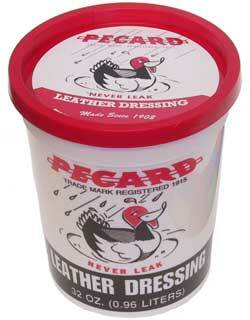 It is a dressing which penetrates the leather, allows the fibres to bend and move without chafing and breaking, coats the fibres to inhibit oxidation, and helps maintain a desirable level of moisture in the leather. 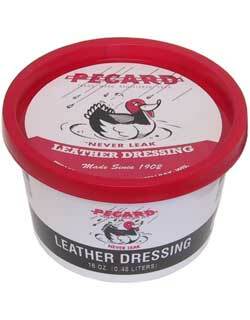 Pecard Leather Dressing is the dressing used by the knowledgeable collectors of leather items and museum conservators.